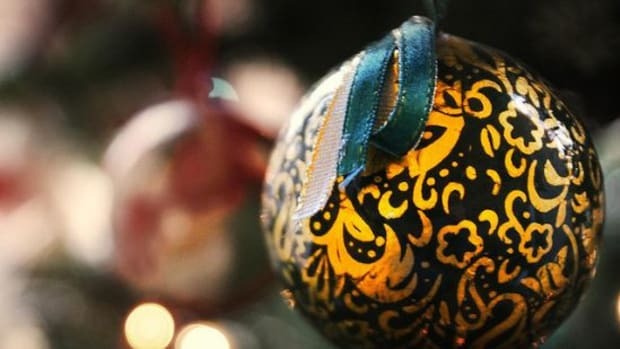 Decorating a tree at Yuletime is a fun and beloved tradition that started in the 16th century in Germany and continues all over the world today. 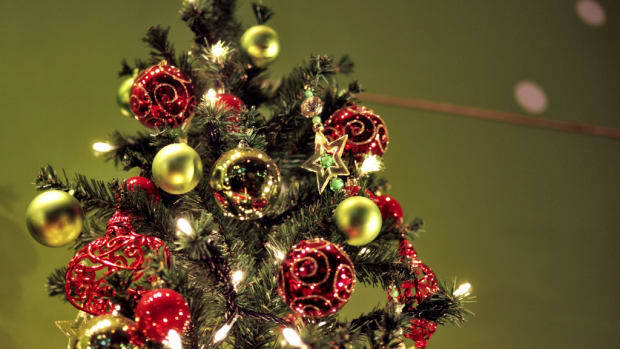 Whether you&apos;re having a lean year this season, or just want to trim your holiday consumption in general, you can decorate your tree for free – or almost free, using common items that you find in your home or backyard. Get creative, get out the glue gun, and get your family to pitch in to trim your tree for almost free – you may never buy a fancy $15 department store ornament again! Natural: Take a walk through your backyard or a nearby park and look for inspiration. Pinecones, seashells, abandoned birds nests, acorns, nuts and branches of brightly-colored berries all make for beautiful ornaments whose natural aesthetics will be right at home on the branches of your tree. Add a regional flavor with local treasures found around on the ground in your area: limes and lemons (Southern California), moss-covered rocks and small pieces of driftwood (Pacific Northwest), or sea glass and mussel shells (New England). Garlands: Making garlands can be a fun family activity for a cold winter afternoon – just rent a funny holiday movie, put the hot cocoa on the stove and get crafty. String garlands of natural popcorn or fresh cranberries with a large needle and fishing line, or use strong thread to tie together penny candy for a pretty strand of sweets. 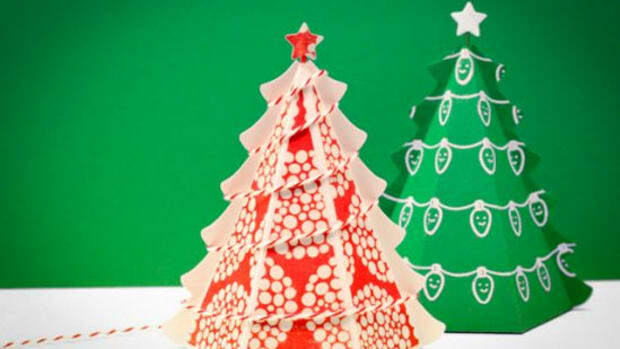 Paper chains are easy for little hands to assemble; just cut strips of green and red construction paper into 1” x 5” strips and glue into a long chain of links that will wrap around your tree. 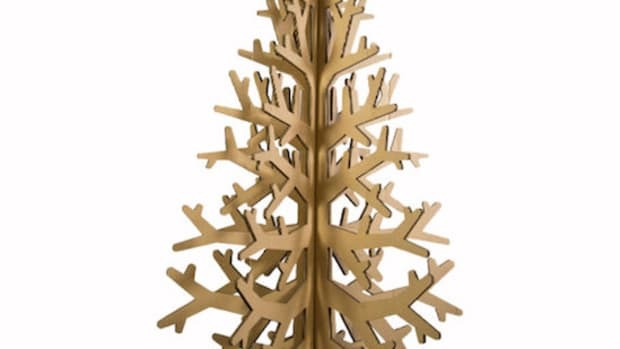 Snowflakes: No two ornaments will be the same when you make snowflakes. 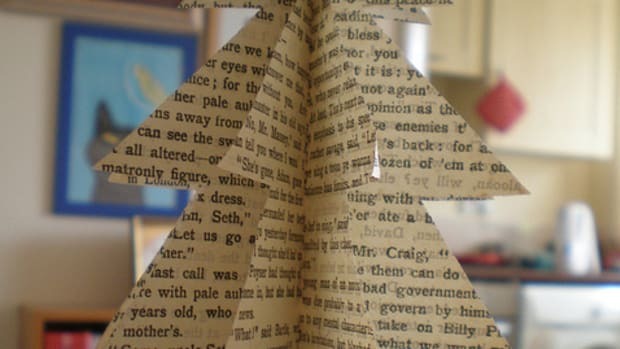 Just cut white copy paper (preferably recycled) into a square, fold several times and then cut holes here and there to create a whimsical snow design. It may take a few tries to get the snowflake shape you want – but the weird ones are part of the fun. Need more color? Cut old wrapping paper into snowflakes for a holiday take on the winter design. Dough:Cookies make great ornaments. 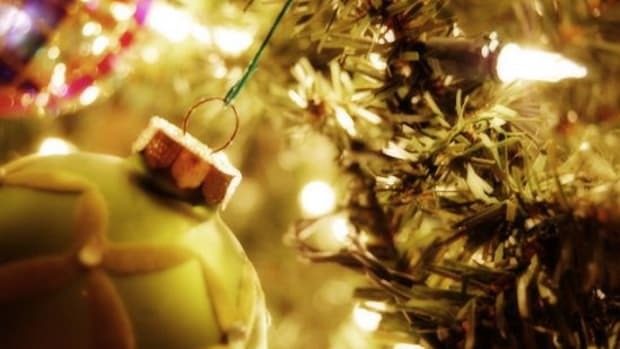 If you are given a giant box of sweets that don’t fit into your healthy diet, shellac those suckers with a double coat of Krylon and then pop them onto your tree. 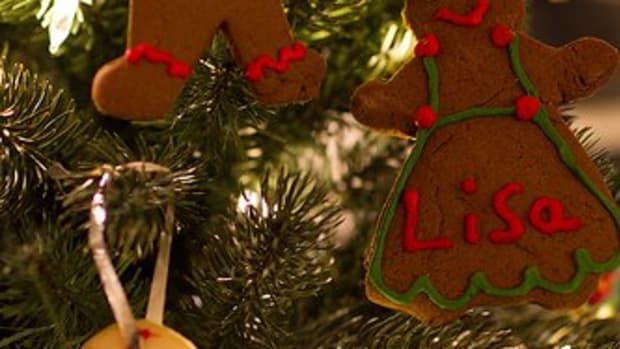 Or just make your own ornaments: Combine 4 cups all-purpose flour and 1½ cups of water into a thick dough, roll out onto a floured surface and cut your desired ornament shapes with holiday cookie cutters. Be sure to poke a hole with a straw through each one for hanging! Bake at 300 degrees for 30 minutes, let cool and then decorate with acrylic paint. 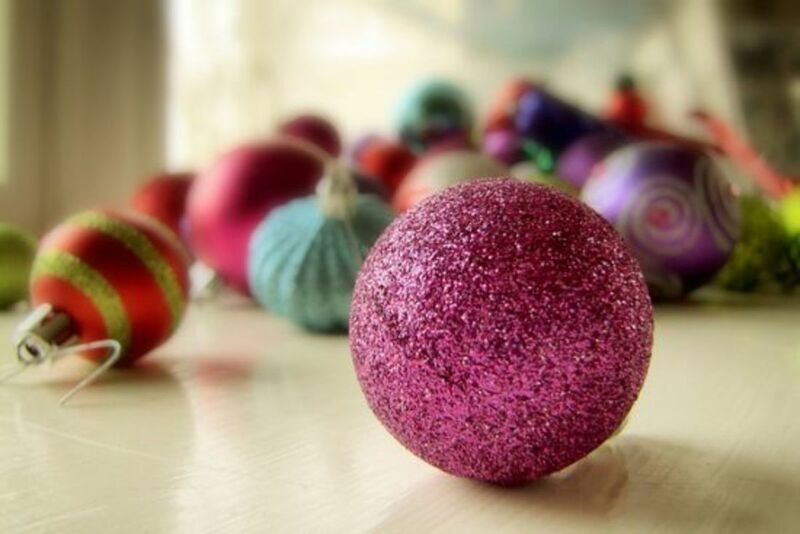 Kids will love making their own ornaments, which will become treasured keepsakes for many holidays to come. Gifts: Small presents in little boxes should go on the tree, not under it! 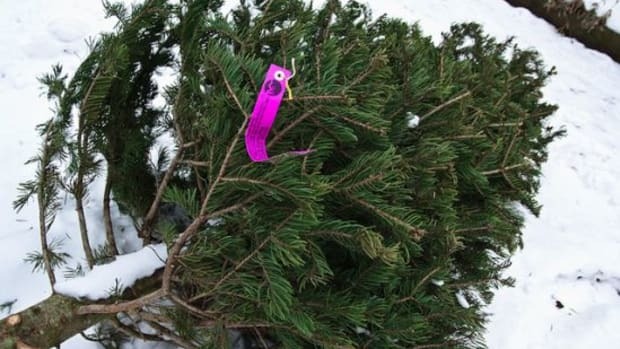 Tie each tiny box to the tree with its ribbon, and let friends and family hunt to find their presents tucked in between the branches. No tiny gifts? Just wrap small items in pretty paper for the same effect. Your pantry no doubt holds many little boxes that can be wrapped up and hung on your tree, and no one will ever know that those pretty gifts are actually boxes of raisins, animal cookies and tea. Photos: Everyone has plenty of photos from holidays past, and you can turn these into ornaments with a little glue, paper and imagination. Pet photos, black and white pictures and photos of mom and dad as kids will be particularly popular with your holiday crowd! Glitter: A set of green, red and silver glitter will increase the dazzle factor for any of the items above. Dot the tips of your pinecones with glue and then dip into glitter for a sparkling new species, or dust holiday cookies with glitter before they are shellacked. Add another dimension to white snowflakes with a coating of white glitter, or turn seashells into space shells with a coating of glittering blue specs. Be sure to put down newspaper at your work station before you get started for easy cleanup. Use opened paper clips to hang everything or simply tie the ornaments to your tree, then sit back and marvel at your handiwork and resourcefulness. Happy holidays!